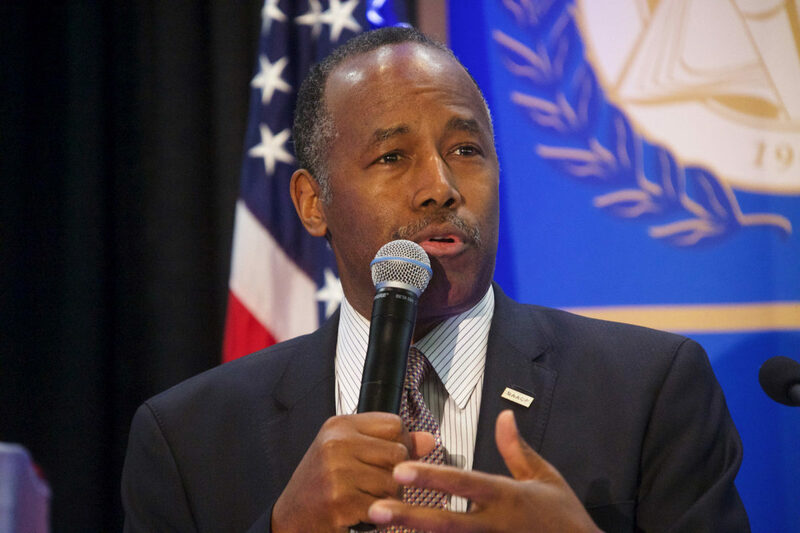 In recent weeks, Housing and Urban Development (HUD) Secretary Ben Carson has taken criticism for allowing his son and daughter-in-law, Ben Carson Jr. and Merlynn Carson, to play inappropriate roles in agency business. Stories in The Washington Post and CNN – which relied in part on documents exposed by American Oversight – detailed how Ben Carson Jr. played a central role in the planning and execution of a listening tour in Baltimore, MD in June 2017. The documents we obtained revealed how Ben Jr. used his special access to play matchmaker between his business contacts in the city and his powerful father. In some versions of the logistical plans for the Baltimore tour, Ben Jr. and Merlynn are listed as attendees at events. June 11, 2017: Ben Jr. connected Lynne Patton (a former Trump family employee who was then working as a senior adviser to the secretary prior to her appointment to lead HUD’s Region II office in New York) and Merlynn with the office of the CEO of Underarmor about participating in the HUD tour. June 13, 2017: Ben Jr. and Merlynn are invited to join a planning call between HUD staff and a potential tour participant. June 17, 2017: Ben Jr. emailed with representatives of Baltimore Gas and Electric and ARGO Systems, LLC about attending the HUD tour in Baltimore. Ben Jr. connected them with Lynne Patton, who was at that time serving as Special Adviser to Secretary Carson. NOTE: Earlier in the thread, the representative from ARGO Systems, LLC describes Ben Jr. as his business partner. June 18, 2017: Ben Jr. connected Lynne Patton with a potential tour attendee. June 19, 2017: Ben Jr. emailed Lynne Patton to check in about the final schedule for the Baltimore tour. June 20, 2017: HUD staffers listed Ben Jr. and Merlynn as riding in the vehicle manifest for Secretary Carson’s limo during the Baltimore tour. June 23: Ben Jr. emailed his wife, father, and Lynne Patton asking whether a stop could be added to the tour. June 23, 2017: Lynne Patton introduced Ben Jr. and Merlynn to HUD staffers running point on the Baltimore tour. June 23, 2017: HUD staffers, including someone from the General Counsel’s office, coordinated speaking with Ben Jr. together the following Monday morning via telephone. June 24, 2017: Merlynn Carson responded to a tour attendee with details about participation. June 24, 2017: HUD staffer shared tour logistics plans with Ben Jr. and Merlynn. June 25, 2017: Lynne Patton discussed tour planning exclusively with Ben Jr. and Merlynn. June 25, 2017: Ben Jr. passed along the contact information for a potential tour participant to a HUD staffer, while carbon copying Merlynn. June 26, 2017: HUD’s Deputy General Counsel emails Ben Jr. about potential ethics concerns with the Baltimore tour. This email followed up on a prior phone conversation. June 26, 2017: Ben Jr. and Merlynn are looped on an email with materials from a tour participant. June 26, 2017: Merlynn Carson emailed a group including Ben Jr. and two HUD staffers asking someone to respond to questions from Baltimore Gas and Electric about scheduling. June 26, 2017: Ben Jr. is looped in on an email between HUD’s Director of Advance and a tour participant. June 26, 2017: Ben Jr., with Merlynn carbon copied, directed a HUD staffer as to which sessions of the listening tour a participant should attend. June 28, 2017: Ben Jr. flagged the name and contact information of a potential attendee who had not received details about the tour. July 2, 2017: A tour participant emails HUD employees as well as Ben Jr. and Merlynn about engaging in a public-private partnership with HUD. There is nothing inherently wrong with a cabinet official seeking advice from outside experts and consultants – but that isn’t what these documents reveal. As the timeline above illustrates, Secretary Carson was effectively using his son as an unpaid employee to plan and execute a series of public meetings that brought him into contact with individuals with significant personal and financial interests in HUD business. Second, as the following emails show, it’s clear that Ben Carson Jr. is not just passively offering his advice to the agency; rather, he is actively using his connections to network and further his own personal interests. May 4, 2017: Candy Carson met Secretary Elaine Chao at a luncheon and mentioned that she wanted to introduce Ben Jr. to the Secretary. Staffers succeeded in passing the email address for Secretary Chao’s Chief of Staff to Mrs. Carson. July 5, 2017: Ben Jr. emailed Lynn Patton—a consultant to the Trump family who was then working as a special assistant at HUD and is now in charge of the largest HUD region in the country–connecting her to two people involved in New York real estate. July 21, 2017: Tony Washington emailed Lynne Patton, carbon copying Ben Jr., to thank her for her time. He also mentions a specific development in Jersey City, NJ that carries HUD debt with a “pretty high” interest rate. Washington suggested that he would like to be able to get that lowered. He dropped the name of the development’s owners—LeFrak—who happen to be Trump campaign contributors. Finally, the documents raise a number of questions about whether the Carsons have been intentionally circumventing the visitor log process at HUD to prevent the public from seeing how often family members have been visiting the agency. In our original FOIA request, American Oversight asked HUD for any visitor logs in which Ben Carson, Jr. appeared. In its reply letter, HUD stated that there are no records of Ben Jr. appearing in the agency’s visitor logs. But in the documents, there are multiple instances where Ben Jr. and/or his wife Merlynn were almost certainly on HUD premises. April 17, 2017: Merlynn and Ben Jr., along with their daughter, met Secretary Carson and his wife, Candy, at HUD to travel to the White House for Easter Monday events. May 25, 2017: Ben Jr. apparently brought friends to HUD to lunch in the Secretary’s Dining Room. June 22, 2017: Ben Jr. had coffee with HUD COO, David Eagles. This coffee was set up by Secretary Carson’s Special Assistant. Here’s the calendar invite for that coffee. After the Washington Post story broke in early February 2018, Secretary Carson claimed he did nothing wrong and called on the HUD inspector general to investigate. American Oversight wholeheartedly seconds that call; the IG should investigate this issue and should follow where the evidence leads. At minimum, the secretary needs a refresher course on ethics – but based on other reporting, it appears that Carson already ignored legal advice warning him that his family’s involvement could raise ethics concerns. The law prohibits using public office for personal gain or to benefit family members – and American Oversight is going to continue our investigation of Secretary Carson, his management of HUD, and the problematic role that he is allowing his family to play at the agency.